Our Brain is one of the most fascinating organs of human body. You won't believe if i say that Aristotle mistakenly thought that heart is the brain. He use to think that all brain functions occur in heart. Today we know function of both of these organs due to advanced medical science. Previously people used to say that only 10% of our brain works and rest of it remain unused for whole life, but recent studies have shown that every part of brain is responsible for one or other function. However there is still a lot to come. 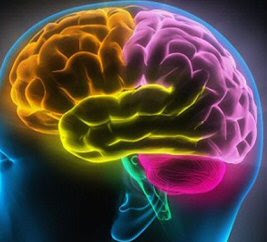 Here we will tell you about some amazing functions of brain known till now. Our body works due to electric wave signal sent from brain. Our brain send these signals even 37 hours after death. Brain is more active at night than during the day. Brain itself cannot feel pain. Brain operates on just 10-watt power consumption. As we grow older, our brain loses almost one gram per year. Human Brain uses 20% of our body energy and makes up only 2% of our body weight. Men listen with the left side of the brain while women use both sides of the brain. The human brain is made up of more than 10 billion nerve cells and over 50 billion other cells and weighs less than three pounds. Human brain stops growing at the age of 18. Our Brain can hold information equivalent to 5 Encyclopedia Britannica. When we touch anything, our nervous system sends message to our brain at 124 mph. There are over 1,000,000,000,000,000 connections in the human brain. Adult female brain weighs 1275 grams while adult male brain weighs about 1375 grams. The neocortex is 76% of the human brain and it is responsible for language and consciousness. The human neocortex is much larger than neocortex of any other animal.